Home > Programs > Culture of Health > Young Leaders Visualize Health Equity > What are the Social Determinants of Health? Social determinants of health are factors in the environment where people are born, live, learn, work, play, worship, and age. While our overall health and well-being is affected by access to good health care (like going to the doctor’s office for an annual check-up), our health and well-being are also affected by our homes, our access to fresh fruits and vegetables, the quality of the air we breathe, our education systems, and by how safe we are in the communities in which we live. These things can add stresses or pressures to our schools, jobs, or neighborhoods. 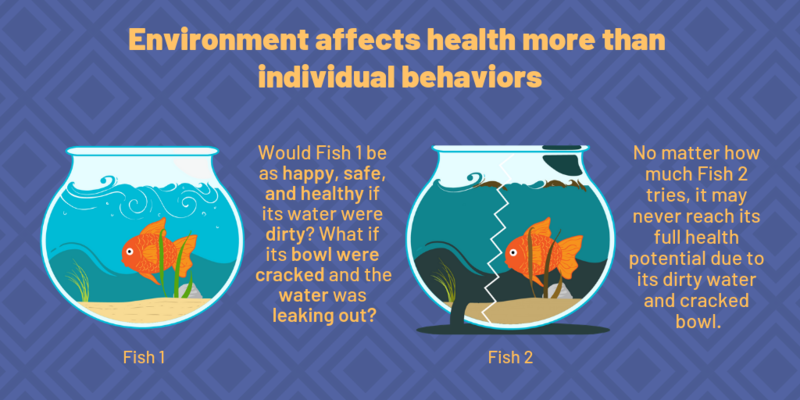 In fact, these factors can and often do impact our health and well-being more than access to good health care and the individual choices we make. They affect our functioning and our overall quality of life. Click on the model below to explore the different social determinants of health! Personal responsibility plays a key role in health, but the choices we make depend on the choices that are available to us. Not everyone has access to the same choices, like where to ride our bikes and what kind of food to eat for dinner. You might know it’s important to eat healthy foods, but what if you live in a neighborhood without a grocery store? What if the nearest grocery store is far away and you don’t have access to a car or public transportation? Or your grocery store doesn’t carry a variety of fresh fruits and vegetables? Or fresh fruits and vegetables are too expensive to buy? When it comes to health, too many people start behind and stay behind simply because of where they live, lack of opportunity, or how society views them. 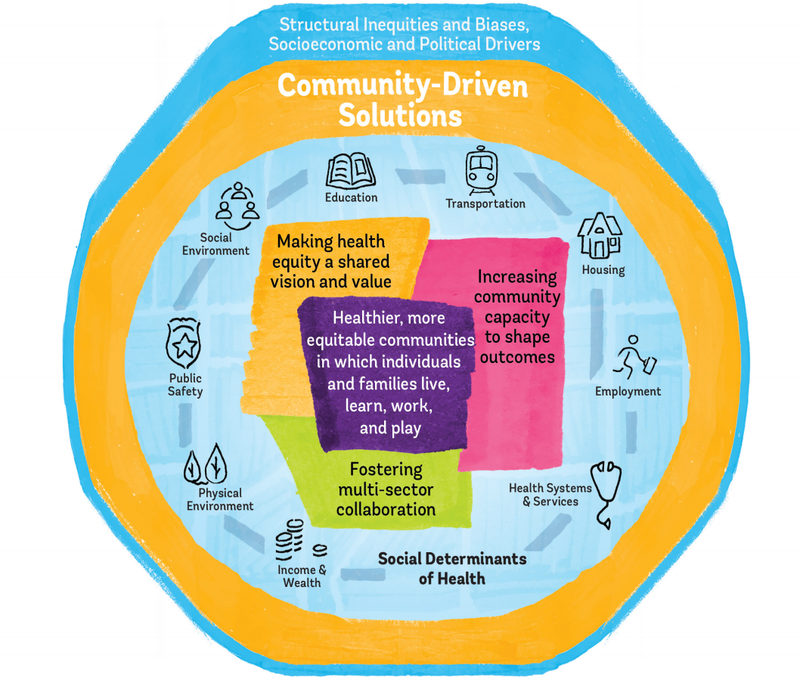 Addressing the social determinants of health is critical to achieving health equity. Health equity means that everyone has a fair shot at living the healthiest life possible.